It's Parliament Week, and what better way to celebrate the world's democracies in all their glory than by taking a look at some facts and stats on institutions around the globe? It seems only right to start with the world's oldest parliament, a title that's contested by Iceland and the Isle of Man. Iceland's Althingi is technically the first formed parliament, established as an outdoors assembly on the plains of Thingvellir in Iceland in 930AD. 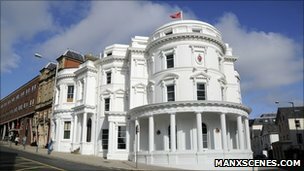 The Manx parliament, or Tynwald, claims to be the oldest continuously sitting assembly, formed of a lower chamber called the House of Keys and an upper chamber called the Legislative Council. The newest parliament is the National Assembly of the Republic of South Sudan, established by Presidential decree in 2011, after splitting from the North of the country. If you can't claim to be the oldest, how else can you throw your weight around in the ranks of world parliament big hitters? The Romanian parliament building certainly claims the heavyweight title according to Guinness World Records. 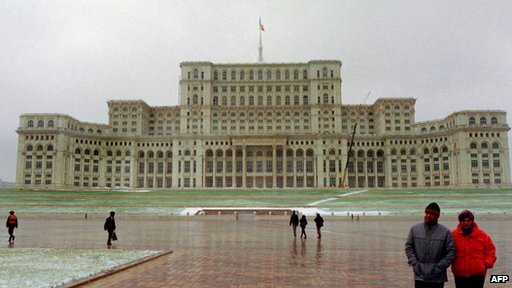 The Palace of the Parliament in Bucharest is believed to be the world's heaviest building, constructed from 700,000 tonnes of steel and bronze, 3,500 tonnes of crystal glass, one million cubic metres of marble and 900,000 cubic metres of wood. It has a surface area of 360,000 square metres, is 12 stories in height and has 1,100 rooms. The car park apparently has space for 20,000 cars. It's not all about building size though. There are 46,552 MPs in the world - an average of 245 per country. China has the highest number of representatives with 3000 members of the Chinese National People's Congress, although they are elected by lower assemblies and not directly by the public. Also near the top is the UK with 650 members, closely followed by Italy with 630. The country with the fewest MPs is Micronesia, a grouping of thousands of small Islands in the Pacific, which has just 14 members. The worldwide average of people per parliamentarian is 146,000; but in India there's a massive 1.5m inhabitants per MP and in San Marino, a micro-state on the Italian peninsula, there's just 517 people for each elected member. But which countries' MPs work the hardest? Greece has the highest number of plenary sessions (meetings of the whole parliament) per year, sitting for 214 days. 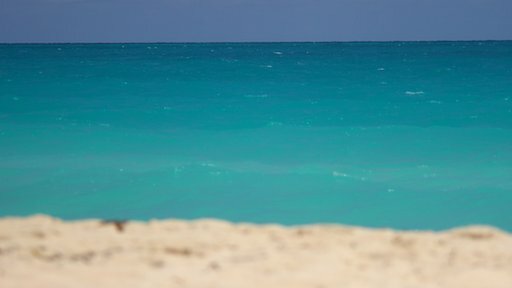 Other parliaments might be considered slackers in comparison; Lebanon's full parliament sits for just 10 days a year, Cuba for 12, while Djibouti and Austria both sit for 13 days. Of course you could argue that time spent in parliament is time taken away from constituency work. Twenty per cent of MPs around the world say they spent forty hours or more a week doing constituency work, and parliamentarians across the globe say the lack of resources for constituency work is the biggest barrier to them doing their job. One issue facing many parliaments is how to make their representatives, more, well, representative - especially with regards to getting women elected. Gold stars go to Rwanda, the only country to have more female than male MPs, at 56.3%, and Andorra with an equal split of men and women. Not every Parliament is striding towards gender equal parliaments though, at the bottom of the list Yemen, Papua New Guinea and Oman have fewer than 1%. There are 9,785 female parliamentarians globally - that's around 21%. Nordic countries have the highest percentage at 42%, with the rest of Europe at 22%. Europe only just beats sub-Saharan Africa, whose parliaments have an average of 21% of women MPs. The UK ranks 58th out of all the countries surveyed. The global average age of an MP is 53; sub-Saharan Africa has the lowest regional average at 49, whilst MPs from the Middle East are on average slightly older - the average age there is 55. The world's oldest verifiable member of a lower chamber is Congressman Ralph Hall, aged 90, the Republican representative of the 4th District of Texas. He has served continuously since 1980 and in December 2012 became the oldest-serving Member of the U.S. House of Representatives in recorded history. The UK has the highest number of serving members over the age of 80, who sit in the upper chamber, or the House of Lords. This is mainly because at present it's not possible for Peers to retire, although they can take a "leave of absence". 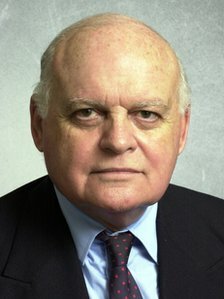 The oldest Member of the House of Commons is the Conservative MP Sir Peter Tapsell, the Father of the House. This title is given to the longest serving member, rather than simply the oldest. At the other end of the scale we have the "Baby of the House" - a title currently held by Labour's Pamela Nash, MP for Airdrie and Shotts. Ms Nash was elected in May 2010 aged 25. The title for youngest MP in the world was until recently held by Sweden's Anton Abele, elected at just 18 years old in 2010 on the back of his activism against street violence. But he quit the job in July 2013, citing his frustration at the lack of change achieved by parliament. He claimed that 99% of all motions submitted by politicians each year are rejected. The title is now held jointly by Uganda's Proscovia Alengot Oromait and Canadian Pierre-Luc Dusseault, who were both elected aged 19. Ms Oromait was elected to the seat previously held by her father, after he died, and serves on the Committee on Defence and Internal Affairs. Mr Dusseault was a first year politics student at the time of his election and has recently been made chair of the Government operations and estimates committee, which scrutinises government spending. Sadly if you were thinking of buying Parliament Top Trumps as a thoughtful Christmas gift you're going to be disappointed, as one does not yet exist… who knows, maybe next year? Parliament Week runs from the 15th - 22nd November; to find out more about events and activities click here. Data from Inter-Parliamentary Union and BBC Analysis and Research.